Benjamin Sauder (kioku) created D4647: Object add align to cursor. Benjamin Sauder (kioku) added a comment to D4511: Add cursor rotation to 3D cursor snapping. Not sure if you handle it already, but I'd suggest to make the orientation alignment optional. Benjamin Sauder (kioku) updated the task description for T61427: Bevel Modifier - Crash on changing Miter type..
Benjamin Sauder (kioku) created T61427: Bevel Modifier - Crash on changing Miter type..
Benjamin Sauder (kioku) awarded T61209: Always write unused IDs on save a Like token. Benjamin Sauder (kioku) awarded D3594: New sculpting brush cursor a Love token. Benjamin Sauder (kioku) awarded D4235: Trim brush a Like token. Benjamin Sauder (kioku) added a comment to D4022: Snapping: additional Incremental Shortcut. I think youre making it a bigger issue than it is. Yes the tooltip could be improved to mention the increment fallback - but how about making a concrete suggestion what it should say? In my original tooltip there was somethign about it, maybe it was too lengthy or because of the changes it made no sense anymore - anyways its just a tooltip/wording issue, the usage of this is straight forward. builder.blender.org already has brechts iteration of this - just give a try? you dont need to activate incremental snap - just use vertex snap and disable affect for rotate&scale. if affect is turn off these modes will always fall back to incremental snapping. Benjamin Sauder (kioku) added a comment to rB879c9665985b: Transform: option to use incremental snapping. Benjamin Sauder (kioku) awarded rB4b545d1bbf43: Fix T58975: "@=" operator silently fails a Love token. Benjamin Sauder (kioku) updated the diff for D4022: Snapping: additional Incremental Shortcut. @Brecht Van Lommel (brecht) ah yes you are correct - all good then. @Brecht Van Lommel (brecht) good to hear back from you. dont worry about changeing stuff around - I think the actual implementation is pretty simple, its the design which isnt so straight forward. I liked the Idea from @Brecht Van Lommel (brecht) very much, as its very simple, clean and non intrusive. Benjamin Sauder (kioku) awarded T58969: Outliner Improvements a Love token. @Germano Cavalcante (mano-wii) this does not work, as other tools also use these snap flags. Now you can only control these for move/rotate/scale - but you can't control the snapping in other modes like shrink wrap anymore. Benjamin Sauder (kioku) updated the summary of D4022: Snapping: additional Incremental Shortcut. I already feared to have missed the window of opportunity, but with the release on the horizon it's also very understandable. Duarte Farrajota Ramos (duarteframos) awarded D4022: Snapping: additional Incremental Shortcut a Like token. Benjamin Sauder (kioku) created D4022: Snapping: additional Incremental Shortcut. Benjamin Sauder (kioku) abandoned D4013: Snapping: additional incremental options. Benjamin Sauder (kioku) planned changes to D4013: Snapping: additional incremental options. @William Reynish (billreynish) I will change the implementation to follow the propsal then. thanks for your input. Benjamin Sauder (kioku) added a comment to D4013: Snapping: additional incremental options. Benjamin Sauder (kioku) updated the diff for D4013: Snapping: additional incremental options. Benjamin Sauder (kioku) updated the summary of D4013: Snapping: additional incremental options. Benjamin Sauder (kioku) created D4013: Snapping: additional incremental options. Benjamin Sauder (kioku) added a comment to rB6491d50d02b7: Transform: default to user-defined orientation. makes sense to revert it for now, and the reasoning why it is the way it is is much clearer - as this was kinda vague on the intial revert comments on this topic. Benjamin Sauder (kioku) awarded rBedbf15d3c044: Defaults: left click select is now the default. a Like token. Benjamin Sauder (kioku) added a comment to rBedbf15d3c044: Defaults: left click select is now the default..
Benjamin Sauder (kioku) awarded D3973: Local View a Party Time token. Benjamin Sauder (kioku) awarded rBA30224fecc40b: Move gltf addon to OFFICIAL a Party Time token. Benjamin Sauder (kioku) awarded rB4b06d0bf51c3: Python API: bpy.app.handlers.depsgraph_update_pre/post a Love token. Benjamin Sauder (kioku) requested review of D3974: Transform Constraints: Respect transform orientation selection. @Campbell Barton (campbellbarton) @William Reynish (billreynish) hey I dont know how to go further with this, and what the intended way of handling things like this is on phabricator. Ludvik Koutny (rawalanche) awarded D3974: Transform Constraints: Respect transform orientation selection a Love token. Benjamin Sauder (kioku) added a comment to D3974: Transform Constraints: Respect transform orientation selection. ah, good to see you already tried that .. and good to see I toyed with the correct piece of code. Benjamin Sauder (kioku) created D3974: Transform Constraints: Respect transform orientation selection. Benjamin Sauder (kioku) added a comment to D3966: Mirror Modifier: Bisecting along mirrorplane. @Campbell Barton (campbellbarton) thank you for your time updating this patch! learned a thing or two from your changes - I know you have a lot on your plate, so this is really appreciated. Duarte Farrajota Ramos (duarteframos) awarded D3966: Mirror Modifier: Bisecting along mirrorplane a Yellow Medal token. Benjamin Sauder (kioku) updated the diff for D3966: Mirror Modifier: Bisecting along mirrorplane. Wo!262 (wo262) awarded D3966: Mirror Modifier: Bisecting along mirrorplane a Love token. Benjamin Sauder (kioku) created D3966: Mirror Modifier: Bisecting along mirrorplane. Benjamin Sauder (kioku) closed T55927: Blender 2.8 crashes on file open as Resolved. this can be closed. I retried this every once in a while - in the version from 21.10.2018 I can now open my files again ( build: blender-2.80-13cfb641c6d-win64 ) thank you! 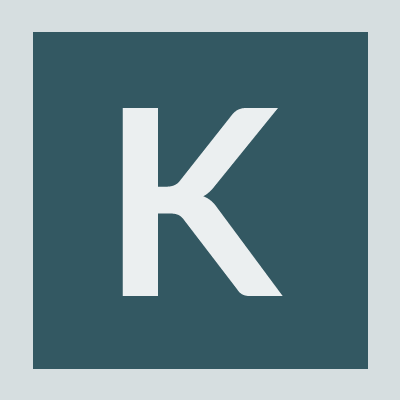 Benjamin Sauder (kioku) added a comment to T55927: Blender 2.8 crashes on file open. hey thanks for taking the time looking into this. Benjamin Sauder (kioku) updated the task description for T55927: Blender 2.8 crashes on file open. Benjamin Sauder (kioku) created T55927: Blender 2.8 crashes on file open.